...and the winner is Philippa Horton! 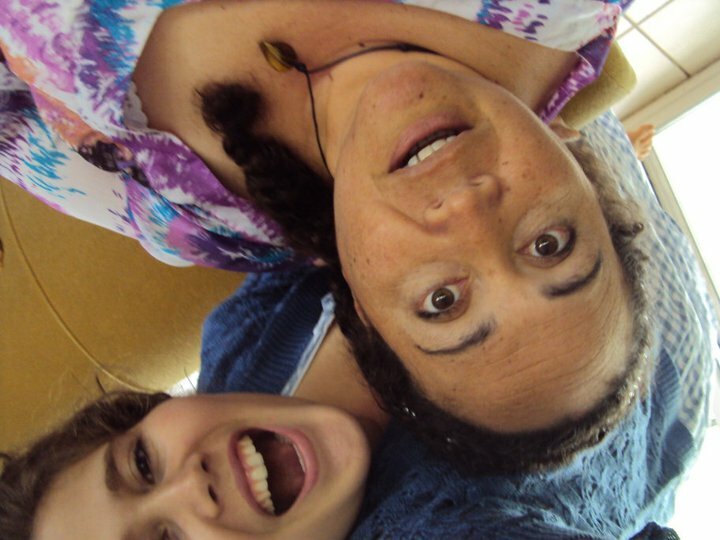 You know how you used to sit upside down with a friend and made funny faces, talked crap and laughed a heap? No? Well that's how we used to pass the time and this brought back great memories. People look so funny talking upside down, perhaps you can try it next time you're bored. Philippa's giant grin and mum's :O face are quite fitting expressions for being winners of the grand prize and will be treated to a BIFF six play festival double pass! Last but not least, Kaya-ra Edward's, Evelyn Abadine and Erin Duddy's heartwarming contributions have earned them a mother daughter movie night at any Palace Cinemas! Congrats to our winners and thank you all so much for participating, your entries and advices from your mothers truly entertained us these last few weeks.